Fort Bend County Engineering, Fort Bend County. 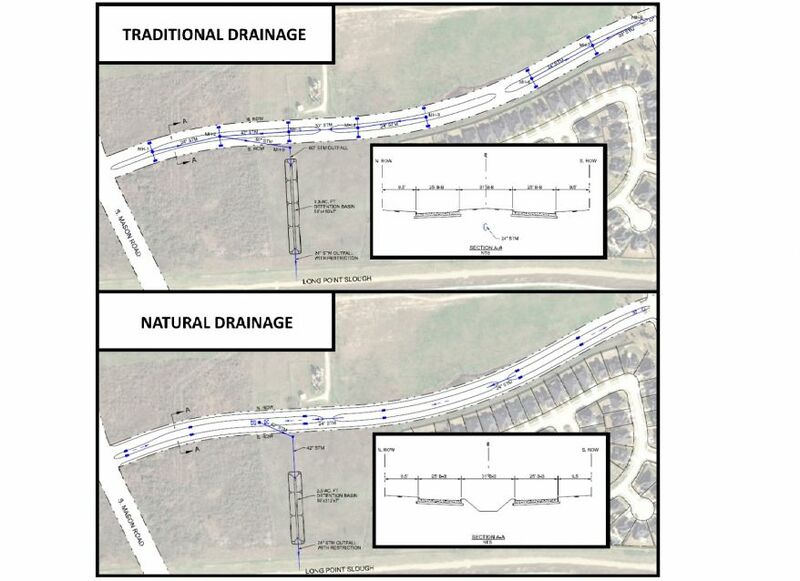 RGME, in association with Asakura Robinson, prepared preliminary engineering designs, landscape designs, and cost estimates for a 2,800 foot segment of Bellaire Blvd near Mason Road. Designs and cost estimates were developed for a traditional curb and gutter drainage system and a natural drainage (also called low impact development) design featuring false back inlets, a depressed center median, reverse sloped pavement, bioswales, and high performance bioretention systems. A weighted factor evaluation was conducted which showed that the LID design was feasible and cost less to construct than the traditional design.